Apparently BMW, purveyor of Teutonic tanks for pushy people, is thinking about selling an electric car. The company’s head of clean technology, Jochen Schmalholz, told Drive.com.au that a battery powered car is in the works but the nod has yet to be given for production. “At the moment we are not really convinced it will work for BMW,” he said. The relevant word Schmalholz neglects to utter, in his interview with Drive at least, is Mini - BMW’s small-car brand. It seems likely that any battery powered car would have to be small and light to give a useful range and respectable acceleration, and therefore would be unlikely to resemble an X5. The quirky Mini brand would be perfect and, perhaps, even some sort of 21st Century Mini Moke would fit the bill. 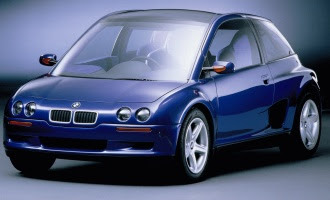 In the unlikely event that BMW does decide to stick its own blue-and-white propeller on a G-Wiz rival, we hope that it looks more like the three-seat Z13 prototype unveiled in 1993 and less like the four-seat E1 electric concept exhibited in 1991. The Z13, powered by a bike engine from BMW’s Motorrad division, could clearly kick sand in the face of the E1, which closely resembles an E36 3-Series after a front and rear shunt. 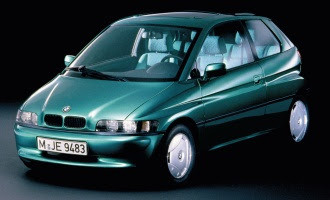 Any BMW these days would feature the sharp-suited creases of Chris Bangle’s machete-wielding design team, of course, and so would actually resemble neither concept. But we like the Z13 and we can dream. 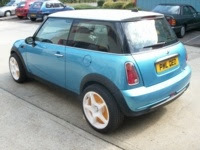 One likely scenario is that BMW has been playing with PML Flightlink’s 2006 Mini Cooper, equipped with four PML Hi-Pa Drive in-wheel pancake motors. PML has been careful to state that BMW was not involved in the production of its zippy Mini, but that doesn’t mean that BMW is going to ignore the company’s efforts now that they're done.